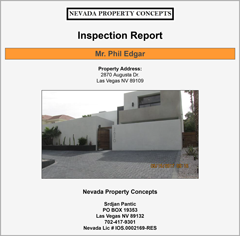 Nevada Property Concepts – We inspect uninspected! 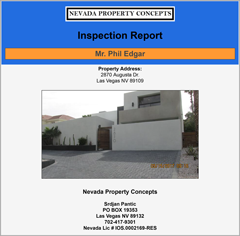 Choosing an inspector that will do due diligence for his client, and only his client, is extremely important for an agents risk reduction and thus future income potential. Get Thermal Imaging for Free!